Our beloved kiwifruit has about the same vitamin C as an orange, which Chinese researchers have traced back to two separate evolutionary events that allowed the fruit's ancestors to spontaneously double its DNA. The two events – about 50-57 million and 18-20 million years ago – also included extra copies of genes for creating and recycling vitamin C. As well as being good for human health, the researchers say the extra vitamin C would have given the plant an evolutionary advantage. Understanding this process could help scientists develop more nutritious fruits and veges, they say. Funder: Ministry of Science and Technology of the People’s Republic of China, China National Science Foundation. 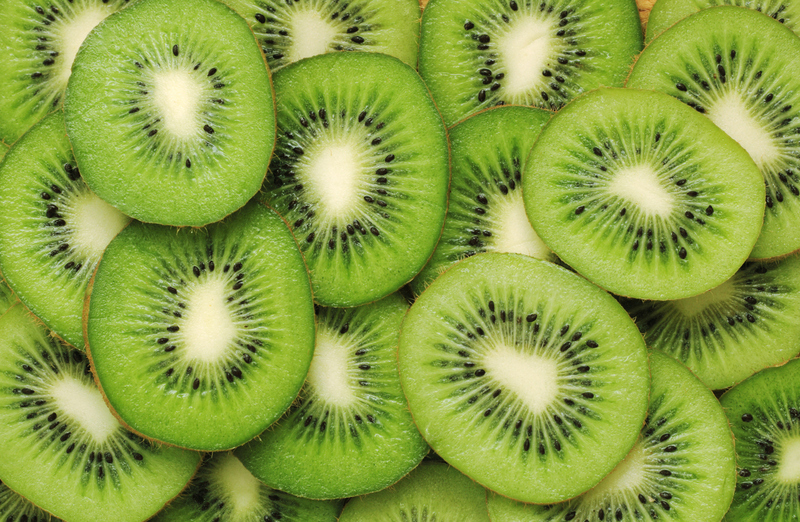 Today's kiwifruit, a member of the Chinese gooseberry family, contains about as much vitamin C as an orange. This extra boost in vitamin C production is the result of the kiwifruit's ancestors' spontaneously duplicating their DNA in two separate evolutionary events approximately 50-57 million and 18-20 million years ago, as reported September 20 in the journal iScience. "Polyploidy is an abrupt evolutionary event that produces thousands of extra copies of genes overnight," says senior author XiyinWang, an agricultural plant scientist at the North China University of Science and Technology. "These extra copies may greatly elevate the robustness of the plant, providing opportunities for natural selection to prune and rewire its biological system over time." To discover traces of polyploidy events, the researchers compared the kiwi genome to the well-characterized coffee and grape genomes. Kiwis, coffee, and grapes share a common ancestor and thus share large swaths of genetic information. When Wang and his team aligned the thousands of genes shared by the three plants, they found that the kiwi's genome often contained four or five copies of a gene in places where the coffee or grape had only one. The kiwi's extra genes included the biological instructions for creating and recycling vitamin C.
Vitamin C is not just healthy for people - it also aids plant growth and resistance to damage, so the kiwifruit's superior vitamin C production gave it a leg up in the evolutionary game. In contrast, the coffee bean's advantage was probably its ability to produce caffeine, a natural pesticide that can also kill neighboring plant competition, whereas the chemical producing the grape's purple pigment most likely evolved to protect the plant from extreme temperatures. Wang and his team also found that the two evolutionary events were most likely due to an auto-polyploidization event, meaning that the kiwi duplicated its own genes, rather than an allo-polyploidization event, which results from interbreeding. For example, plants such as bananas, potatoes, and sugarcane are autopolyploid, whereas wheat, cotton, and strawberries are allopolyploid. The authors note that more crops are allopolyploid than autopolyploid. Humans can learn from the kiwifruit's technique of copying nutritionally important genes. Artificially copying certain genes could help agricultural scientists grow more nutritious or disease-resistant produce. "Our research has decoded the structure and evolution of the kiwifruit genome," says Wang. "Kiwifruit is one important fruit, rich in vitamin C. Understanding its genomic structure may help us manipulate its genes to produce more nutritious kiwifruit." Wang's team will continue decoding the kiwi and other plant genomes. They plan to explore more genes that could be copied to produce more successful fruits and vegetables. Polyploidization is a process that involves natural doubling or tripling of chromosome numbers. It is more frequent in plant species than other types of organisms and it has been well documented as a driver for evolution and leading to new traits. The increase in copies in the plant genomes by polyploidization often means that duplicated and therefore redundant genes evolve different functions, which leads to new traits such as adaptation to pests or climatic conditions. The article from our Chinese colleagues is confirming something we have observed many times. The government-funded Genomics Aotearoa project has research objectives to further explore the consequences of polyploidization in a range of horticultural and arable crops. We are using the latest computing science methods applied to biology (what we call bioinformatics) for cracking the genome of species with four or six sets of chromosomes.